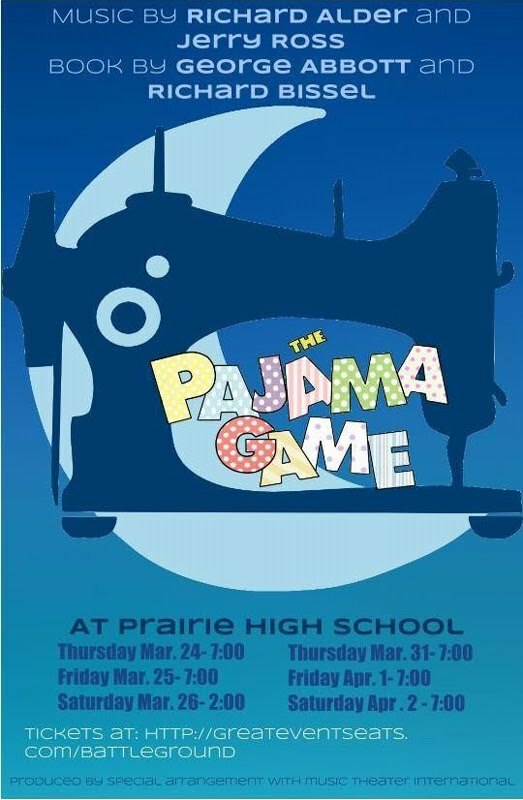 Prairie High School Drama will perform "The Pajama Game," a musical adaptation of a book written by George Abbott and Richard Bissel, starting March 24. The play features music composed by Richard Alder and Jerry Ross. "The Pajama Game" puts a humorous spin on labor relations in post-war America, in which workers at the Sleep-Tite Pajama Factory are threatening to strike for a 7 ½-cent raise. In the midst of this ordeal, love blossoms between the grievance committee leader and the new factory superintendent. The play will run March 24-26 and March 31-April 2 at the school, 11311 NE 119th St, Vancouver. 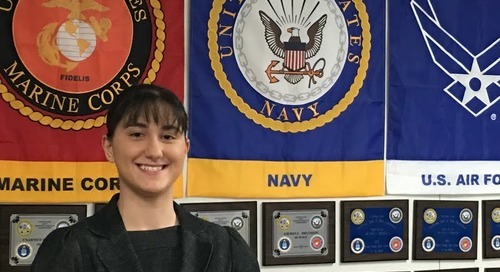 Performances begin at 7:00 p.m., with the exception of the March 26 matinee, which begins at 2:00 p.m. Tickets are available online at http://greateventseats.com/battleground and cost $6 for students, $8 for seniors and $12 for adults. Tickets will cost more at the door.